Starwood Hotels & Resorts Worldwide will open four new hotels in China by the end of the year - in Chengdu, Hangzhou, Dalian and Beijing. The St. Regis Chengdu hotel will open late summer and will include 279 guestrooms, six restaurants with four private dining rooms, and over 400sqm of event space. The Azure, Qiantang Hangzhou, which opens this autumn, features 205 guestrooms, two restaurants, seven meeting rooms and a 200sqm ballroom for 430 people. Also opening in autumn is the Castle Hotel, Dalian, which will offer 292 guestrooms as well as 67 private residences. The hotel also features 800sqm of events space, which includes eight meeting rooms and a 430sqm grand ballroom. A 1,200sqm rooftop garden is also available for drinks receptions and other business gatherings. 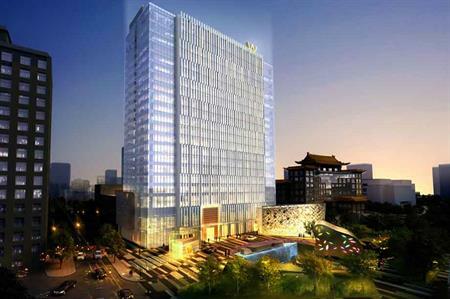 Opening in Beijing’s commercial district in at the end of the year, the W Beijing, Chang’an hotel will include 353 guestrooms, four restaurants and 700sqm of event space, including a 150sqm grand ballroom. Earlier this month (June), Starwood Hotels & Resorts announced that it will open two new hotels in East London's Tobacco Dock in 2017, with Aloft London Tobacco Dock and Element London Tobacco Dock.